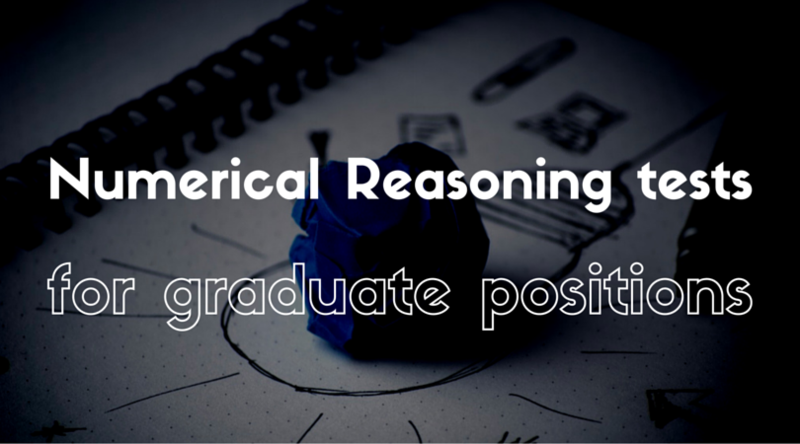 If you’re applying for a graduate position in Australia there’s a good chance you will be faced with CEB’s SHL Numerical Reasoning test as part of your potential employer’s recruiting process. This article will help you learn about CEB’s SHL Numerical Reasoning tests in Australia, what these tests are like and how to prepare for them. Get hold of practice tests for SHL’s Numerical tests here. SHL is the most widely used assessment company in Australia and the world. Their online tests cover virtually all types of aptitude test for a variety of different positions. Recently SHL was purchased by the American firm CEB though their tests services remain unchanged. Companies in Australia make use of their services when sifting through a large number of prospective job candidates. One of the most widely used of these tests is the SHL Numerical Reasoning test. What is the SHL Numerical Reasoning test? SHL’s Numerical Reasoning tests are made up of mathematical type questions that test your ability to analyse data and solve numerical problems. These questions often come with diagrams, graphs or tables and include questions dealing with proportions, percentages or ratios. SHL’s Numerical Reasoning test can come in a variety of different forms and difficulties depending on the position you’re applying to. Numerical Interpretation & Numerical Evaluation: These tests are designed for Sales and Customer service positions. These tests are labelled as either NCC2 or NCC4 with NCC4 being the more difficult of the two. Interpreting Data: This test type is designed for positions involving decision making and analysis. The difficulty level of Interpreting data tests can run from basic to moderate levels. This test is labelled NC2.3. Numerical Critical Reasoning: This group of tests are used on applicants applying for Graduate and Managerial positions. These tests can vary from moderate to advanced in their level of difficulty and can require the knowledge of Industry-relevant data. The tests can be referred to as NMG1-6 or as Management and Graduate Item Bank (MGIB). Numerical Reasoning & Numerical Analysis: These are the hardest level of SHL Numerical tests. They are used candidates applying for Senior Manager and Information Technology positions. These tests usually include questions dealing with ratios percentages and probability. They are labelled as NMT2 and NMT4. SHL’s Verify tests make up an integral part of their assessment process. These are their online aptitude tests sent to candidates to complete at home before coming in for an interview or assessment centre. Shorter versions of these tests are often presented at assessment centres as well as verification that the online test was done by the candidate. Like all of SHL’s products, the Verify version of their Numerical tests come in different difficulty level depending on position. These tests usually give you between 15 to 25 minutes to answer about 10 to 20 questions. A rumour about an upcoming recession in Japan will reduce the value of the Yen by 7% compared with the Euro. After the reduction, How many Euros would you be able to buy for 500 Yen? You can get more information as well as comprehensive practice materials for SHL numerical tests here. You can find out about other aptitude tests used by employers at JobTestPrep. would you be so kind to explain in details about the numerical interpretation & numerical evaluation? Why is it labelled as NCC2 and NCC4? I’m still pretty confused and my head is probably aching after reading such article. Do we have to take this test when we apply for a job in America ? Are there anyways to prepare for this thing? I’m turning curious and maybe stupid lol. We have checked with the test provider and NCC2 is easier than NCC4 test. To give our readers a better understanding of different kinds of numerical reasoning tests, we might write an article on this subject later. For the mean time, you can browse other articles we have on psychometric tests such as Hogan, Revelian tests in the “Most Popular Posts” menu on the top right corner. Cheers.